New Leaf is showing some ridiculous prices on their one way flights from Halifax to Hamilton, Winnipeg, or Abbotsford for just $39 CAD including taxes. It's almost laughable that they would offer a fare that allows you to fly most of the way across Canada, a distance of over 4,300km, for a grand total of $39 CAD. Of course, it's not exactly the quickest flights, with 2 stops between Halifax and Abbotsford. For comparison, undertaking this journey in one of the market's most fuel efficient cars (Toyota Prius hybrid) would involve a driving distance of 5,700km and cost you an estimated $213 in fuel alone. In most vehicles, it would probably be a minimum of $500. 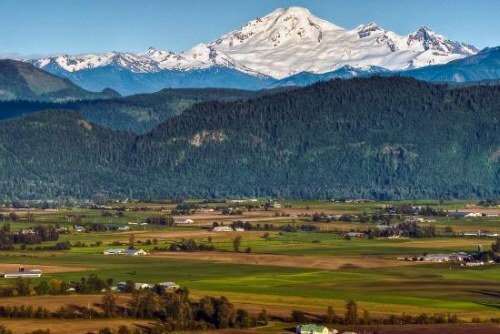 Yes, it's possible to find roundtrip flights from Halifax to Abbotsford, BC for just $59 CAD, including taxes! halifax, yhz, flight deals, ontario, canada, british columbia, hamilton, yhm, north america, new leaf, abbotsford, bc, yxx, winnipeg, manitoba and ywg. 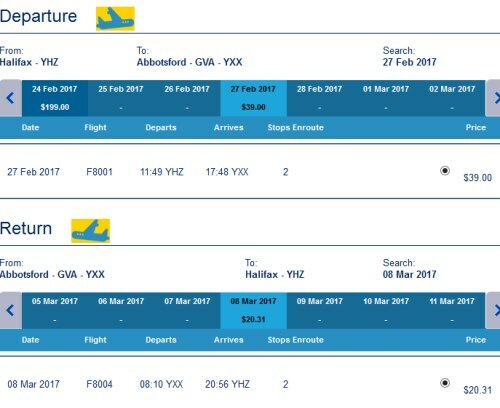 3 Responses to "Halifax to Abbotsford, BC - $59 CAD roundtrip including taxes | one way flights to Ontario or Manitoba for $39"
Unfortunately the Halifax - Abbotsford leg of the flights sold out really quickly. It was probably the folks from the Vancouver area (large population), as this deal was also available in reverse.